Last month, CIMSEC published an article titled “A Sign of the Times: China’s Recent Actions and the Undermining of Global Rules, Part 1” highlighting three troubling developments that oblige the United States to further encourage and also challenge China to become a more responsible global stakeholder that contributes positively to the international system. The article noted Beijing trying to convince others to accept the self-aggrandizing and self-serving term of “near-arctic state”; to fulfill its nationalistic promise to the Chinese people and reclaim the disputed and contested South China Sea (SCS) from ancient times; and to expand its “sharp power” activities across the globe. A month later, these undertakings continue to mature and advance apace. China considers legislation seemingly to protect the environment in Antarctica, but really to safeguard its growing interests in the southernmost continent. 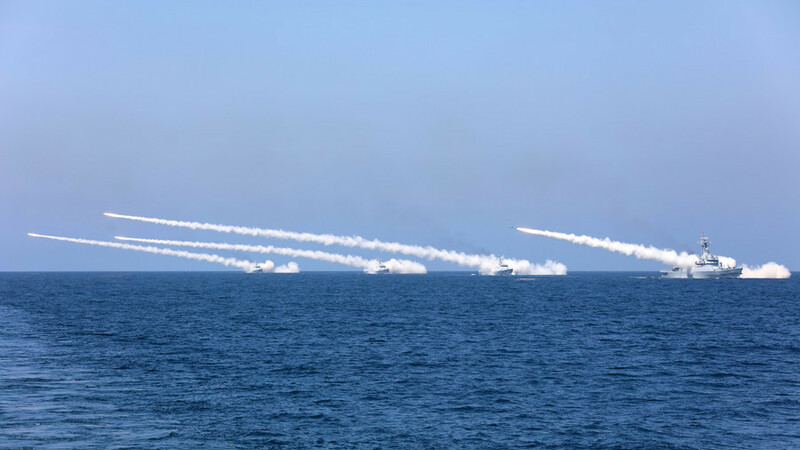 Beijing takes more active measures to reassert its sovereignty and preserve its territorial integrity in the SCS. China restructures its public diplomacy (and influence operations) apparatus to better convey Beijing’s strategic message and to better shape public opinion abroad. Left unchallenged and unhindered, Beijing may become even more emboldened and determined to expand its global power and influence and accelerate the pace of its deliberate march toward regional preeminence and ultimately global preeminence. If so, Washington would be prudent to consider that it is much easier to slow or stop a large boulder rolling down a steep hill near the top than wait until it gains speed and momentum near the bottom. A leading Chinese international maritime law expert recently called for exigent legislation to promote and safeguard China’s increasing activities and growing interests in Antarctica, particularly as they relate to scientific research, tourism, and environmental protection. China spends more than any other Antarctic state on infrastructure such as bases and icebreakers. 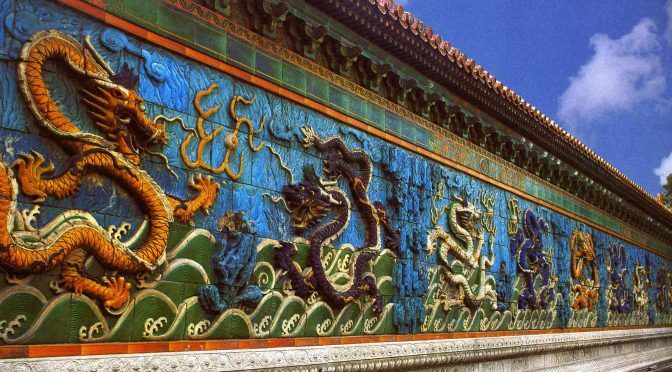 Beijing maintains three bases (Great Wall, Zhongshan, and Kunlun) on the southernmost continent. Chinese polar research icebreakers make annual scientific research expeditions and periodic re-supply trips to those bases. And last year, the number of Chinese tourists to Antarctica grew to 5,300 from just 100 13 years ago. Altogether, the expanding presence, operations, and activities are embraced by Beijing as ways and means to build the necessary physical fundamentals for China’s evolving Antarctic resource and governance rights. The legislative clarion call is not new. Beijing has been deliberately and incrementally paving the way for Antarctic legislation with government-sponsored studies dating back to the 1990s. A draft law has been listed on the Standing Committee of the National People’s Congress’ (NPC) legislative agenda since last year, while the State Oceanic Administration (SOA) – the principal governmental body overseeing Antarctic issues – has drafted departmental rules to regulate Chinese activities on the continent since 2007. The latest of these rules – Environmental Protection Regulation on Activities in Antarctica – was issued last February. Contained therein, Beijing benevolently asserts that “with these rules, the SOA has been organizing activities in the southernmost continent in strict accordance with the Antarctic Treaty and the Protocol on Environmental Protection of the Antarctic Treaty, which provides comprehensive protection for the Antarctic environment.” In other words, a law with specific criminal and civil liabilities is urgently needed to keep visitors from unlawful actions, which may damage the fragile Antarctic eco-system. Beijing’s actions in Antarctica should be linked and taken in context with other actions in the Arctic. For years, China has pushed to be designated a member of the Arctic Council, whose membership is restricted to nations bordering the Arctic. In 2013, Beijing finally gained observer status, and continues to seek membership to the very exclusive and potentially lucrative club. On January 26, Beijing followed up last year’s policy paper “Vision for Maritime Cooperation Under the Belt and Road Initiative (BRI)” that outlined its ambitious plan to advance its developing global sea corridors (blue economic passages connected to the greater Belt and Road network) – with its first white paper on the Arctic. The white paper boldly proclaimed China’s strategic intent to actively partake in Arctic activities as a “near-Arctic state.”Activities include but are not limited to the development of Arctic shipping routes (Polar Silk Road); exploration for and exploitation of oil, gas, mineral, and other natural resources; utilization and conservation of fisheries; and promotion of Arctic tourism. Of note, there is no legal or international definition of “near-Arctic state.” China is the sole originator of the term. Beijing is clearly attempting to inject itself into the substance of Arctic dialogue and convince others to accept the self-aggrandizing and self-serving term. On March 17, Beijing announced the building of its first polar expedition cruise ship, as China looks to extend the BRI into the Arctic through shipping lanes opened up by global warming. Beijing and Helsinki have agreed to build a double-acting polar research vessel equipped with icebreaking capabilities, usable while the vessel is moving forward and backward. The new vessel is expected to be built in the Shanghai Shipyard later this year. Greenland is actively courting Chinese investors to help expand three extant airports, raising concerns in Copenhagen. Chinese interest in Greenland comes after Beijing in late January laid out its strategic plan to establish the Polar Silk Road by developing shipping lanes and promoting infrastructure in the Arctic. Working with Moscow, Beijing is now exporting liquefied natural gas using the Northern Sea Route through Arctic waters and has stepped up monitoring of oceanographic conditions in the Far North from Svalbard, a Norwegian island that is open to international scientific research. On March 23, USS Mustin (DDG-89) purportedly conducted a freedom of navigation operation (FONOP) during which it reportedly passed within 12nm of Mischief Reef – one of seven occupied geographic features in the Spratly archipelago that China has transformed into a large military outpost in a bid to dominate the contested surrounding waters. If so, this may have been the second U.S. FONOP of the year and the sixth U.S. naval operation in the last 10 months to challenge Beijing’s excessive maritime claims in the SCS. The first add-on was intended for the other ASEAN members, shaping and influencing the ongoing negotiations of the Code of Conduct (CoC) for the management of contested claims in the strategic waterway. Beijing will undoubtedly try to insert favorable language into the CoC, like excluding non-ASEAN states from the SCS and regulating military activities in the SCS. The latter is consistent with Chinese comments made at the 54th Munich Security Conference – “the problem now is that some countries unilaterally and wrongly interpreted the freedom of navigation of UNCLOS as the freedom of military operations, which is not the principle set by the UNCLOS.” The second add-on was meant for Washington, signaling Beijing’s intent to increasingly challenge greater American naval presence and operations in their perceived home waters. Chinese media largely echoed the MFA’s rhetoric, and further asserted that Washington had deliberately timed the FONOP to challenge Beijing on the same day China decided to hit back at America’s punitive tariffs. The destabilizing FONOP was a calculated gesture and part of a U.S. combined economic and military pressure campaign against China. On April 12, Xi personally attended a naval review in the SCS, one of the largest of its kind in China since its founding in 1949. He viewed 48 vessels, 76 aircraft, and more than 10,000 service personnel to include the aircraft carrier Liaoning. Xi made a speech after the review, reaffirming Beijing’s aspiration to have a strong navy and pledging to speed up PLAN modernization…“A mighty navy is an important pillar of the great rejuvenation of the Chinese nation.” On April 17, the PLA Daily elaborated on Xi’s statements five days before. Xi has resolutely set Beijing on an unyielding course for achieving the Chinese Dream, thus making it imperative for China to have a strong and modern navy. This is because having a capable navy doesn’t simply protect one’s shores, but also to protect one’s interests beyond those shores. 90 percent of the world’s trade is still carried through the maritime domain, and it is, by far, the most cost-effective way to transport goods and raw materials around the globe. This is why Xi reviewed the PLAN in the SCS on April 12. It will also be telling to see how Beijing reacts to other related regional developments – French Navy frigate Vendémiaire “allegedly” conducted a FONOP in the SCS (some would say that it was not a FONOP, but just a transit); Hanoi welcomed a U.S. nuclear aircraft carrier for a port visit; Jakarta lobbies other Southeast Asian countries to carry out maritime patrols in the disputed waters; Canberra increases its maritime presence and considers conducting FONOPs in the strategic waterway; Manila plans to include again Japan and Australia into its annual bilateral exercise with the United States (Balikatan); SCS claimant states continue to buy more naval arms (Kuala Lumpur will equip its new littoral combat ships with advanced naval strike missiles from Norway and Jakarta will buy three modern submarines from South Korea); and Tokyo tries to link the Mekong and ASEAN into a broader Indo-Pacific Strategy, allied with India, United States, and Australia. When China does decide to react, it will do so bilaterally and quietly like it dealt with Vietnam (intimidated Hanoi to halt its oil drilling project off its southeast coast and called Hanoi to settle maritime disputes through talks and to jointly exploit the contested waters), Philippines (encouraged Manila to jointly explore for oil and gas in the disputed waters), and Brunei (brokered an unspoken arrangement whereby Bandar Seri Begawan remains silent on the SCS issue in order to secure Chinese investment); and surreptitiously like when Chinese cyberspace hackers supposedly attacked corporate firms linked to the SCS. The wildcard will be Singapore, who assumed the ASEAN chairmanship last January. Singapore’s fair and balanced approach and predisposition toward global rules and norms may moderate (and possibly even check) Beijing within ASEAN in 2018. Chinese leaders may have anticipated this unwelcome prospect and are taking proactive steps to mitigate. On March 8, Chinese Premier Li Keqiang told visiting Singaporean Prime Minister Lee Hsien Loong that China will work with ASEAN: “China is willing to bring benefits to surrounding countries through its own development and build a community of both shared interest and shared destiny with countries in the ASEAN countries.” On April 12, Beijing launched a joint laboratory program with ASEAN to promote and enhance technological innovation, as part of the greater BRI’s efforts to build a community with a shared future for China and ASEAN. The joint program was organized by China’s Ministry of Science and Technology, Singapore’s Ministry of Foreign Affairs, and the ASEAN Secretariat. China recently restructured its state media to better control domestic content and create a bigger public diplomacy (propaganda) machine to better convey Beijing’s strategic message and to better shape public opinion abroad. Both objectives align with Xi’s goals of ensuring that the domestic and international audiences hear the messages that he wants them to hear, see the images that he wants them to see, and believe the narratives that he wants them to believe. In his eyes, all messages are political and thus subject to state and Chinese Communist Party (CCP) control. In mid-March, Beijing announced the Beijing announced the merger of three national radio and television entities – China Central Television, China Radio International, and China National Radio – to create a single Voice of China (VoC) to “guide hot social issues, strengthen and improve public opinion, push multimedia integration, strengthen international communication, and tell good China stories.” The VoC will employ 15,000 employees across dozens of bureaus around the globe, producing media programs in more than 60 languages to provide a reassuring and benevolent image of China, one that blunts any concern about Beijing’s growing power and influence in the world. The VoC will complement similar “sharp power” activities by the Confucian Institutes and United Front (UF). The former is a network of more than 1500 teaching centers established in over 140 countries that provides Chinese language and culture lessons to more than 1.5 million students from around the world. The latter is a CCP organization designed to build broad-based domestic and international political coalitions to achieve party’s objectives, advance the party’s political agenda, counter political foes, and help realize broader geo-economic ambitions such as the BRI. The UF will reportedly take over the functions of the State Council Overseas Office, National Ethnic Affairs Commission, and State Administration for Religious Affairs to exercise tighter control over religion and ethnic issues and to further carry out its efforts on exercising influence overseas. Altogether, these influence organs are intended to promote the Chinese political agenda and explain Chinese ideas and values, and in a way that wins the country supporters abroad. “Urge the Chinese in Peru to help boost exchanges and mutual trust between their host country and China.” (Liang Shun, Head of the Central Association of Chinese in Peru). The United States made progress last year calling out wayward and untoward Chinese behavior, pushing back on Chinese unilateralism and assertiveness, strengthening regional alliances and partnerships, increasing regional presence, reasserting regional influence, and most importantly, incrementally reversing years of ill-advised accommodation. But there is much more Washington can and should do. If not, passivity and acquiescence undermine the new U.S. National Security Strategy, reinforce Beijing’s growing belief that Washington is a declining power, and may further embolden China – a self-perceived rising power – to execute unchallenged and unhindered its strategic roadmap (grand strategy) for national rejuvenation (Chinese Dream). Hence, the new strategy, calling for America to embrace the strategic great power competition with China and plan and act accordingly, is a step in the right direction, for decline is a deliberate choice, not an imposed reality.